Proton Saga FLX SE launched - RM49,899 OTR! 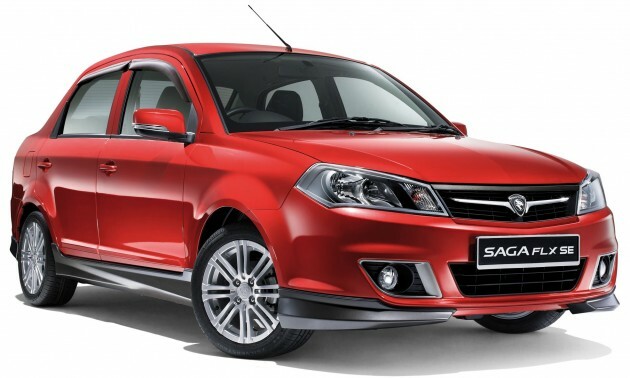 Home » Local News » Proton Saga FLX SE launched – RM49,899 OTR! 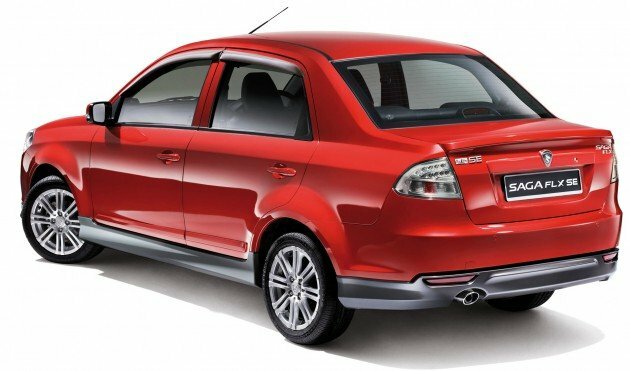 Proton Saga FLX SE launched – RM49,899 OTR! Ah, while all the action seems to be in Tokyo, along pops up something more relevant and closer to home. Proton has announced the introduction of the Saga FLX SE, which we “previewed” last week, all thanks to an erstwhile reader and a leaked brochure. Danny’s story already carries most of the tech details, so the big news is really about the photos of the car and the price – the 1.6 litre Campro and CVT-equipped vehicle rolls in at RM49,899 (metallic) and RM49,449 (solid). There are only two shades, the Fire Red as seen in the photos (which is the metallic), and Solid White. Priced RM2,900 above the current selling 1.6 litre automatic Saga FL, the Saga FLX SE features eight exterior and three interior changes. It’s fitted with 15-inch alloy wheels, an complete factory-fitted body kit in contrasting grey, fog lamps and smoked-finished combination rear lamps. 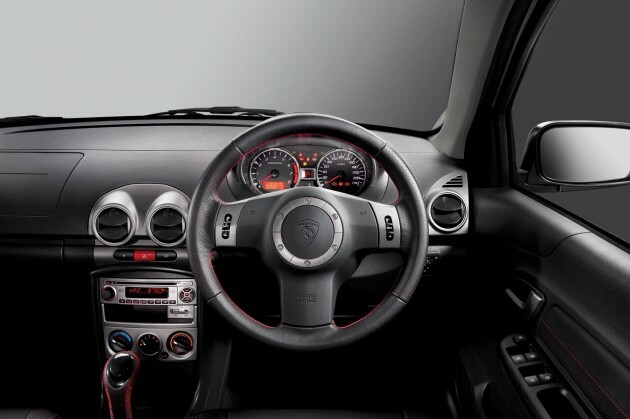 Meanwhile, the 108 hp and 150 Nm vehicle’s interior gets a healthy dollop of leather; hide is to be found on the seats, steering wheel, door ornament as well as the parking brake and gearshift levers. The company is hoping to shift around 500 units of the Saga FLX SE per month. Oh, and customers who have ordered a Saga and are still waiting for their car to be delivered can opt to change their booking to the FLX SE at the respective showroom in which the booking was originally made. If you’re thinking of viewing the FLX SE, don’t rush out just yet, because the car will only be at all Proton showrooms from tomorrow, December 1.